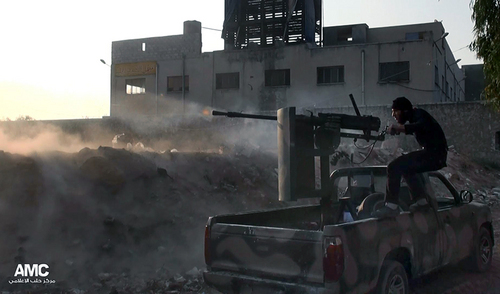 Beirut • Syrian rebels launched a counteroffensive in the northern city of Aleppo, recapturing a base near its international airport hours after the army advanced into the area, activists said Saturday. The fighting came as the main Western-backed opposition group began a two-day meeting in Istanbul to decide whether they will attend a proposed peace conference the U.S. and Russia are trying to convene in Geneva. The Syrian National Coalition has demanded that President Bashar Assad step down in any transitional Syrian government as a condition for going to Geneva. Syrian officials say Assad will stay in his post at least until his terms ends in 2014 and that he may run for re-election. In Cairo, Arab League Secretary-General Nabil Elaraby told reporters that the U.N.-Arab League&apos;s top envoy to Syria, Lakhdar Brahimi, will hold a meeting in early December to decide on a new date and the attendees of the Geneva conference. "We were saddened and depressed because of the failure of the latest meetings to decide on a date and participants for the conference," Elaraby said, referring to a meeting in Geneva earlier this week that many had hoped would call for holding the talks later this month. The League had wanted the peace conference to lead to a cease-fire and secure means to deliver humanitarian aid to Syrians, Elaraby said. Coalition spokesman Khaled Saleh told reporters in Istanbul at the beginning of its meeting that the Syrian government could demonstrate some goodwill measures, such as lifting sieges on rebel-held areas. Government soldiers have prevented food, fuel and medical aid from reaching some opposition-controlled enclaves. 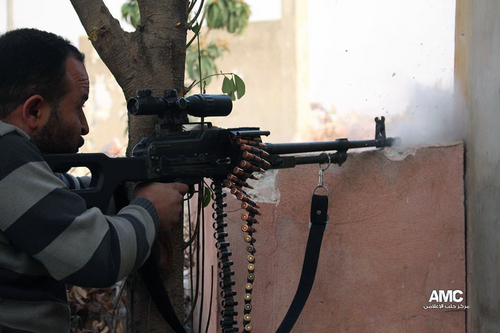 Assad&apos;s armed opponents have also similarly punished government-loyal areas in their midst. But even with goodwill measures, many in the coalition will resist calls to attend unless Assad agrees to step down in a transitional government, a highly unlikely development. In Aleppo, al-Qaida-linked rebels and other Islamic fighters recaptured the Brigade 80 base that had protected the city&apos;s airport, the Britain-based Syrian Observatory for Human Rights and the Aleppo Media Center said. The government has not confirmed losing the base. The government-held Aleppo International Airport, which has been closed due to fighting for almost a year, is one of the Syrian rebels&apos; major objectives. 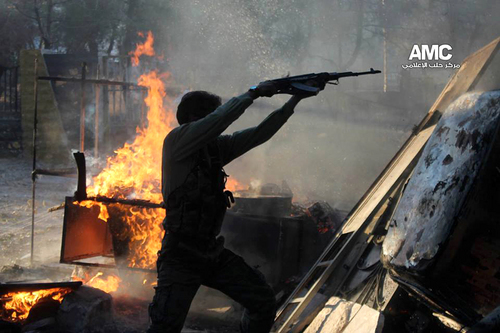 Brigade 80 first fell to rebels in February, but government troops seized parts of it early Friday during an offensive. The rebels launched a push to retake it later that day and fighting ranged overnight into Saturday, with 20 government soldiers killed as well as more than 40 rebels from different groups, including al-Qaida&apos;s al-Nusra Front and the Islamic State in Iraq and the Levant, according to the Observatory. 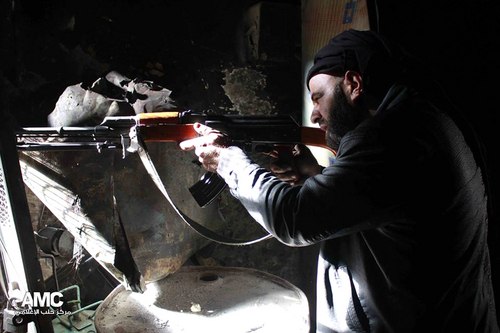 Hard-line Islamic groups have emerged as some of the most effective fighters in the Syrian rebel ranks. Syria&apos;s state-run news agency SANA said a rocket fired by opposition fighters hit near a health center in Aleppo&apos;s Ashrafieh neighborhood, killing six children and wounding six others. Meanwhile, a woman working as a media activist was found slain with signs of abuse on her body on a farm in the Aleppo province, two Syrian activist groups said. The Observatory and the Local Coordinating Committees said the woman was seized about 40 days ago by gunmen near the Turkey-Syria border. The LCC identified her as Samira Kayali.